Priding themselves in evoking genuine emotions through their music, Victoria Street is made up of five friends that each picked up their instruments in different ways. From punishments in secondary school, parental encouragement to the persuasion of a then puppy love, the reasons for starting music may vary but they all share the same passion: to touch hearts and let their music be heard. The band is made up of Hazel Tan (vocals), Josh Low (vocals/guitar), Nigel Peh (vocals/guitar), Darren Tan (bass) and Faidhi Yusmal (drums). Having been around since 2011, they have been around and taken a longer journey compared to other bands out there to have made it to where they are today. Despite that, they are proud of the process they went through and will keep going for a long time to come. Nigel shared that it is about keeping the passion alive and not becoming jaded. But what do they think is one struggle that is still prevalent then and now? “People management, because you are not just working by yourself. Everyone is different and has their little quirks, and the band members have to find a way to manage these themselves. Even a manager cannot do this for you. And I guess that’s why so many bands break up, even the really good ones,” Faidhi said. “There is also that prejudice against doing music, or being in The Arts in Singapore. People give you a look and ask how you will have a family, or earn money. I think for us musicians, what we value, is more than just a house or a car. We want to play music and let our hearts be satisfied in a way. I will not be happy if I just take a full-time job and leave music. To me, it is the prejudice and the mindset behind that prejudice that is the biggest struggle,” shared Darren. 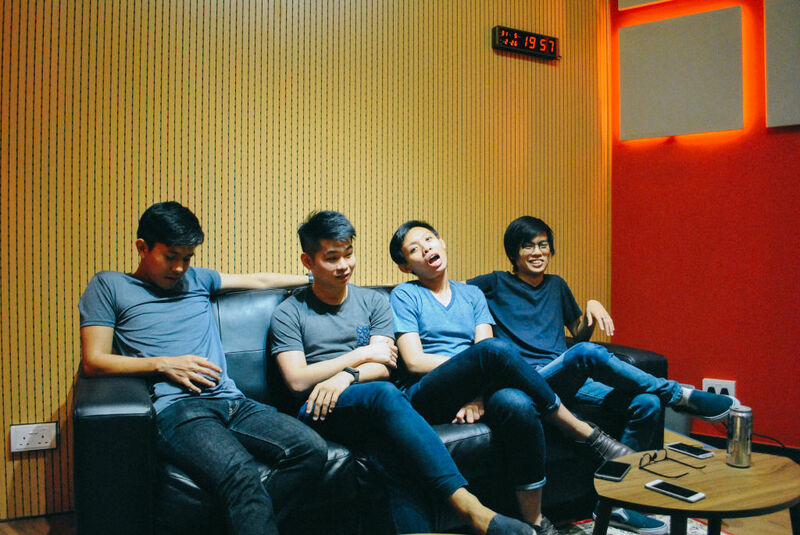 Popspoken manages to speak to the band in midst of their practice session at the studio. Be it swapping roles within the band, sharing best memories or writing a song for their favourite local dish, the band says it all. 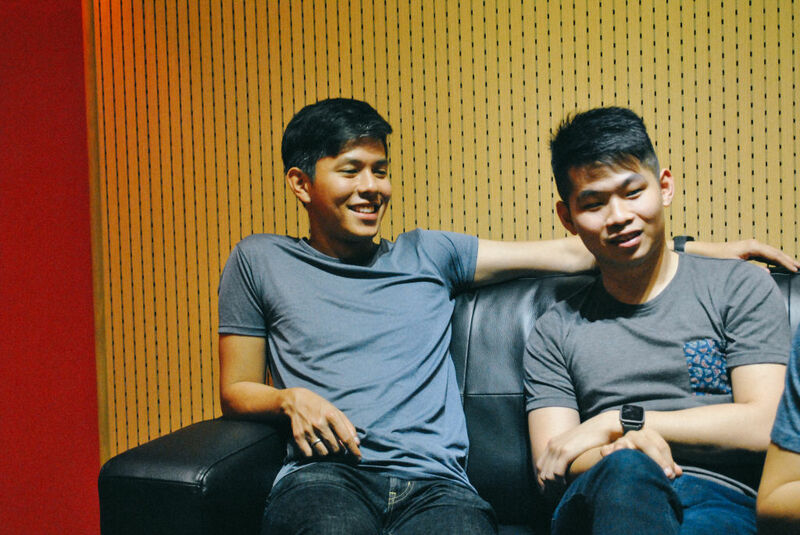 Popspoken: Having been through the Noise Mentorship programme last year and going through the Baybeats mentorship this year, how has the band’s sound grown from before? Faidhi: The sound has matured…not much I can elaborate on, really. Haha. Nigel: I think after having gone through these programmes, I feel like our awareness has improved. We listen out more to each other’s playing and how we’re playing it. We’re a bit more analytical when we have to be, during rehearsals and when we’re writing or recording stuff together. Hazel: I feel the band’s sound has definitely matured a lot. The NOISE mentorship helped us to develop a more solid identity as a band, and also gave us a better idea of how we want our music to be perceived by our audience. Right now, going through the Baybeats mentorship, I think we’re working on making our music more relatable and engaging. Josh: Since the NOISE Mentorship last year, Victoria Street is now more focused, and more conscious in the honing of our craft. We now know that there are very specific emotions that accompany our songs and how to facilitate those emotions through our (musical) arrangements. Darren: The mentorship made us more aware of what we’re doing, and what each other is doing in the rehearsal space. It is not just five people in a jamming studio practicing song after song. What we do now in rehearsal is getting our thoughts, our minds together to achieve a certain goal or agenda for that what, 2-3 hours? The VS sound has definitely gotten much more focused and intense than before. PS: What do you hope will translate through your brand of music to listeners? F: Translate…emotions? Can’t use Google translate for that. N: Personally as VS’s main songwriter, my intention behind writing my songs is to tell stories of emotional stuff that has happened to me beforehand, and in that way, reach out to people who would then hopefully relate, and let them know that they are not alone in their situation. Someone out there understands. J: I feel that as humans, we are broken by nature. We have quite a few songs that deal with loss. And in today’s age where humans are constantly striving to mask that brokenness with strength, courage and tenacity, I hope that our audience will learn to at least take off those masks; at least for the duration of the songs we play. D: Musically speaking, our brand of music will show you moving pictures of what we are saying/playing through the song. Textually dense in places, hard hitting and soul crushing in others, I think we are showing listeners that our music is made genuine. PS: Share with us your best memory as a band. N: There are quite a lot of answers to this one, but when I think of our band having “fun”, I think of the five of us in Faidhi’s car while Josh blasts music and Darren just makes a lot of noise for whatever reason. H: Honestly, my best memory with the band was a day we spent out together, playing board games haha. It might sound odd that it’s not music related, but I think those are rare moments that we have. And I guess that’s why I treasure them. Because I feel our band relies a lot more on our interpersonal relationships to function, than anything else. And it’s always nice to get to know one another better. J: There are too many to choose from, so I’ll just pick one of them. The NOISE Showcase last year. I always get goosebumps when I hear a crowd singing in unison. It tells us performers that we’re not alone in the emotions that we’re feeling. D: I treasure all those times where we hung out without the “after-rehearsal” feeling. I like that one time we played board games for a few hours. Or just going out to eat prata. Or that time we totally went to LAN and shot zombies. Too many ‘best’ memories to count. We are indecisive people and cannot make definite choices. PS: If you had to write a song about your favourite Singapore dish, what would it be? And how do you think it will sound like? F: Chicken rice. Sounds like chi chi chi Ken chi chi chi chi Ken Ken Ken Ken ri RI RI CE ceeee…coz our band uses alot of delay. N: As a vegetarian, I think good vegetarian charkwaytiao is hard to find. It’d probably be acoustic, like just a guitar and vocals. So I can express my sadness about the hardship of finding good vegetarian charkwaytiao. H: CHICKEN RICE IT WOULD BE CHICKEN RICE OMG. I would make it into a rap. Because. Chicken rice is just swag like that. J: Oh I know this one. It’s definitely prata. You don’t know what I’ll do for good prata. It’ll be about having cravings in the middle of the night. And doing what you can to sate them. D: Even though I strictly abstain from Mcspicy for health reasons, I think it deserves a song or two for keeping everyone up in hard times. PS: If all of you had to swap roles with one another, how would the new configuration work out? F: Faidhi bass. Darren kaospad. Nigel on a notepad writing cheesy love songs. Josh singing. Hazel keyboardist and dancer. N: Darren on keyboards, Hazel and Faidhi on Guitar, Josh on Drums, and myself on vocals. Hopefully it wouldn’t be too bad. H: It wouldn’t. HAH. I think the thing about our band is that everyone plays such a unique, specialized role, that switching things up would probably mess us up, big time. J: Haha. Faidhi singing, Darren & Hazel on guitar, I’ll play bass and Nigel will play drums. It’ll sound like a mess. D: I would quit vs.
PS: It seems like you guys are on a roll recently. 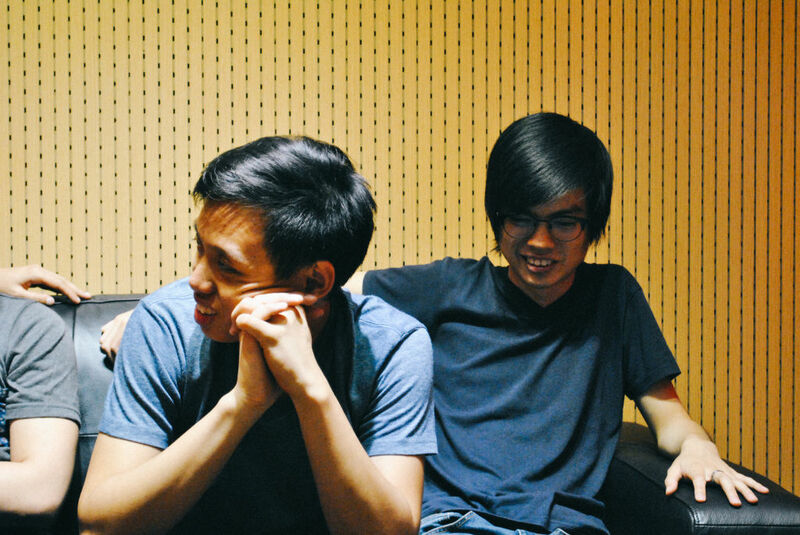 So, what are your plans after Baybeats? N: Get on with planning and promoting our (second) EP! Do more gigs, music videos, photoshoot, album art, all that jazz. But right after the show? Probably have dinner and then drinks. Lots of drinks. J: Baybeats is a really big thing for us, and it’s really hard to follow up from an event like that. We are planning to release our 1st EP with this new line up, and we’re frankly quite excited for it! Our sound has matured a lot since our debut in 2013, and we can’t wait to let everyone hear the new songs that we have. D: Get through the mountain of paperwork, discussion agendas, brainstorming ideas, and pester the powers that be for our future ep success, while basking in the adrenaline from playing Baybeats 2016. Also, attend more gigs, get dinner, play more gigs, get supper, you know, the usual musician things to do. 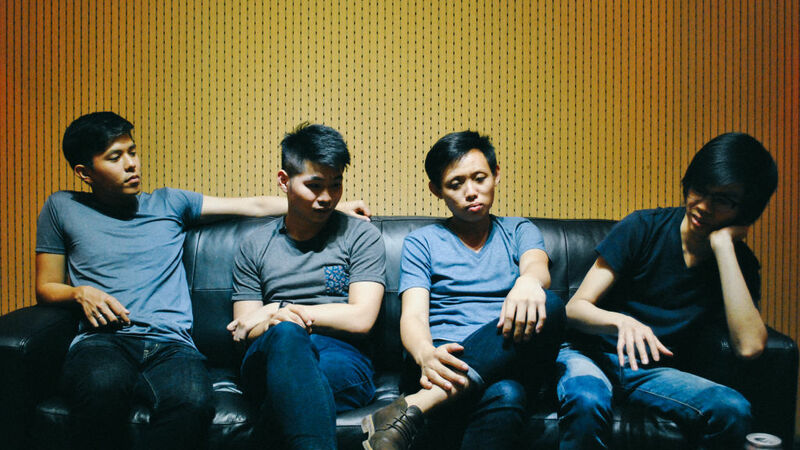 Catch them at this year’s Baybeats Festival that is happening from 24 to 26 June 2016!